Well, welcome to Doug's World, and all that it holds -- at least all that I have it holding digitally at the moment. I've tried to get these in the right order, but some of the photos didn't have dates, so I just had to make my best guess. (Plus I fudged a bit at the very first, for the sake of establishment.) This will no doubt be a work in progress, so check in from time to time to see any recent additions. Enjoy the show! 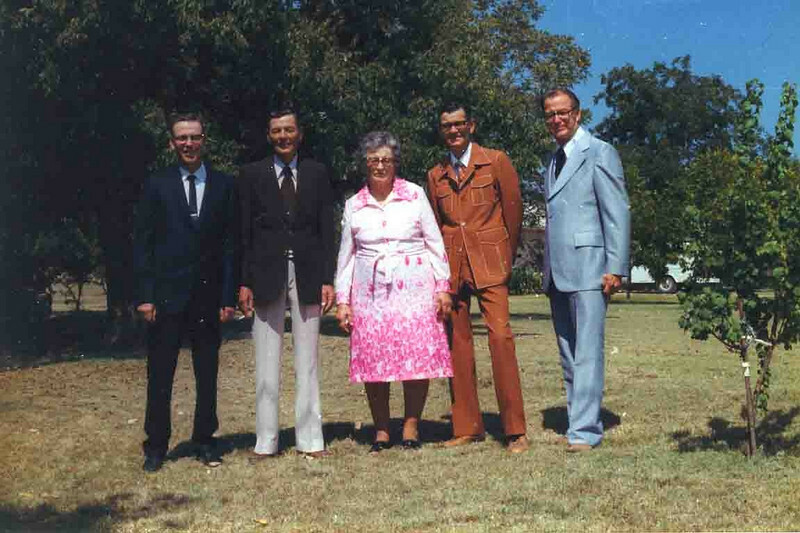 Here is another shot of the Duncan Gang with Ma Duncan (Buelah Dean, actually). My, how the styles have changed from that last shot. Notice the guys are still in the same order.